Wind sweeps, swirls, picks up, puts down, and carries with it the silent, strong wishes of the hopeful. Soft bellows skim a dusty floor to uncover brilliance hiding under filth. Sweeping is a passing, a feeling, a whimsical invisible world in constant motion. It’s a reminder that the swift rise and fall of our emotions are like that of a whispering breeze. All know the feel of gusts, none of us can hold on to it, and none of us see it coming. Bring full attention to that which no hand can grasp. 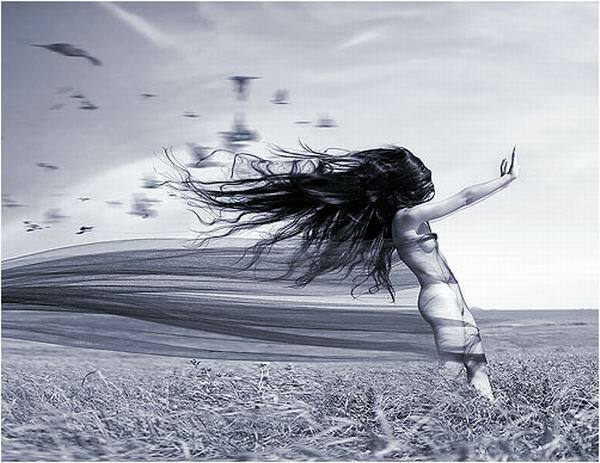 Do so, and in a sweeping moment you will fly free to where ever the One blows.